A study of shelter cats finds that cats who are gently petted and talked to by humans have a markedly lower chance of getting an upper respiratory infection. Cats who were not stroked and talked to gently were over two times more likely to get sick (due to stress) than cats who were. Ironically, many shelters do not allow people to touch the cats due to fear of disease, placing signs throughout the shelter to that effect, even though it is the absence of touching that makes it 2.4 times more likely the cat will get sick. The study also has enormous implications for the lives of cats deemed “feral.” Cats who are labeled “feral,” “unsocial,” “fractious,” or “aggressive” are virtually all killed unless the shelter embraces neuter and release/return to field. The study found that while 18% of the cats they tested would have been deemed “feral” due to “aggression” when they started (and thus killed), none of the cats responded that way after day six. This is also true of cats who could not be touched when they arrived and were stroked “mechanically” with a fake hand. The study concludes that “a 3-4 day holding period” is not “sufficient to differentiate non-feral from feral cats.” So not only do staff lack the expertise to make such determinations (any cat can act “feral” due to stress in a shelter) and not only is it inhumane to kill cats for behavior reasons (there is no such thing as an “irremediably psychologically suffering” cat nor a cat whose defensive behavior should ever deem them a public safety risk as cats instinctively flee risk), but these cats are killed too quickly to make a valid determination. The conclusion: Shelters that do not have a “mental health” component (touch, talk, play through volunteers) in concert with a “physical health” component (vaccination on intake and other medical care, cleaning/disinfection) are often working at cross purposes since the two are inexorably linked. More importantly, this study underscores how it is often the shelter’s own policies that cost cats their lives. 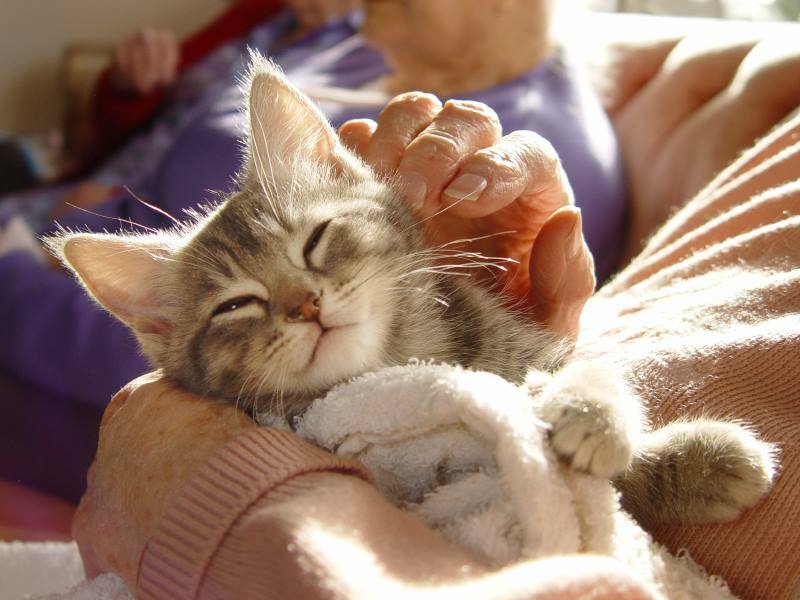 Shelters which do not allow cats to be touched, do not allow volunteers to socialize cats, and want to reduce holding periods in order to kill cats more quickly are not operating in the best interests of cats.